Seagrill on 25° Restaurant & Lounge embraces a prime position overlooking the Arabian Gulf, and plays tribute to sunsets and sea views. The restaurant is situated in Fairmont The Palm, which is located on the world’s largest man-made island shaped in the form of a palm tree. 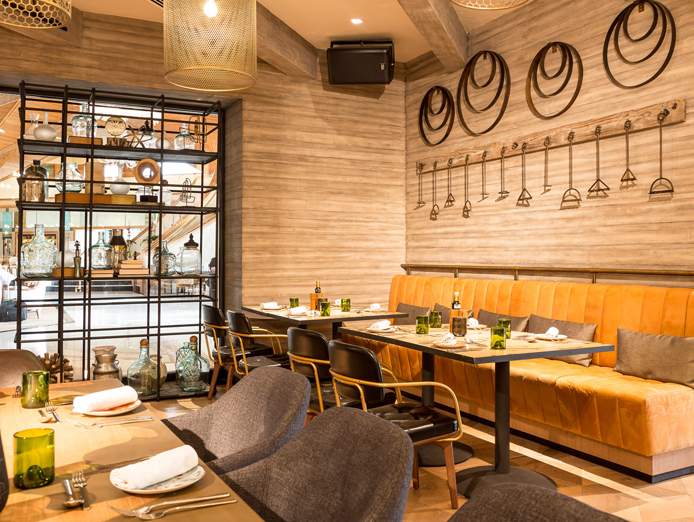 The client wanted to achieve an ambient environment that united a shabby-chic aesthetic with an atmosphere of relaxed luxury, similar to that of the Hamptons. 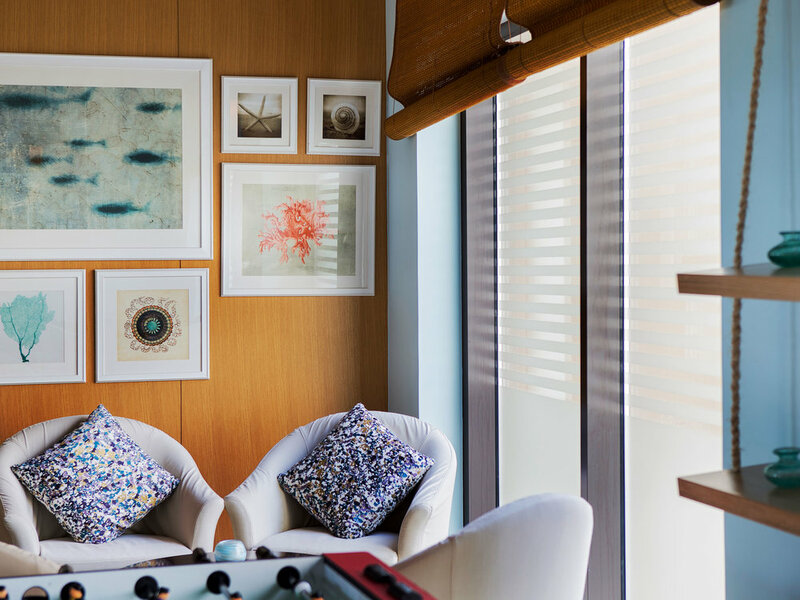 As the restaurant is situated on The Palm, looking out to sea, the artworks selected and commissioned all incorporate a beach or ocean theme. 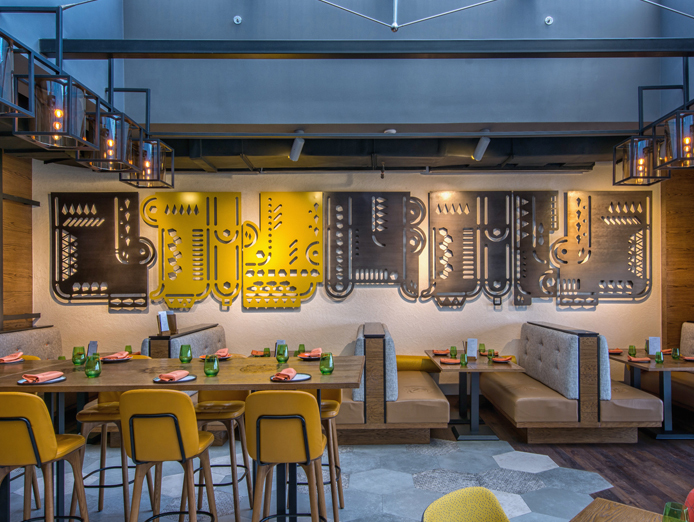 In the ground floor restaurant, Dubai-based artist Lama Khatib Daniel created a wall installation of hand-painted ceramic plates. Lama depicted a figurative, dreamlike scene using her trademark motif of the human face, surrounded by swirling sea life such as coral and fish. 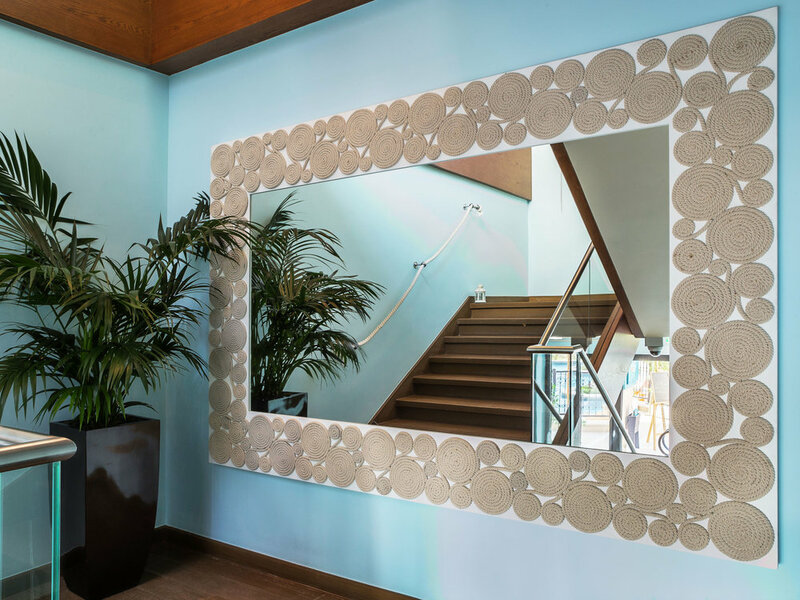 Capsule Arts also commissioned a large-scale mirror with a frame formed from coiled rope patterns. 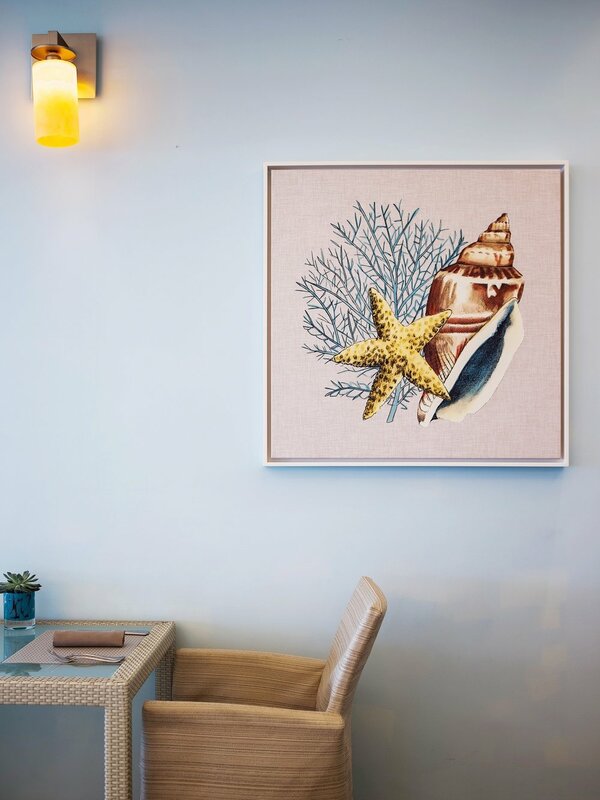 These works were complemented by a series of framed prints on canvas around the restaurant, featuring compositions of shells and coral. The commissioned artist on the project was Jordanian artist Lama Khatib Daniel, who also features in the Capsule Arts limited edition art print collection. Her prints are available here. 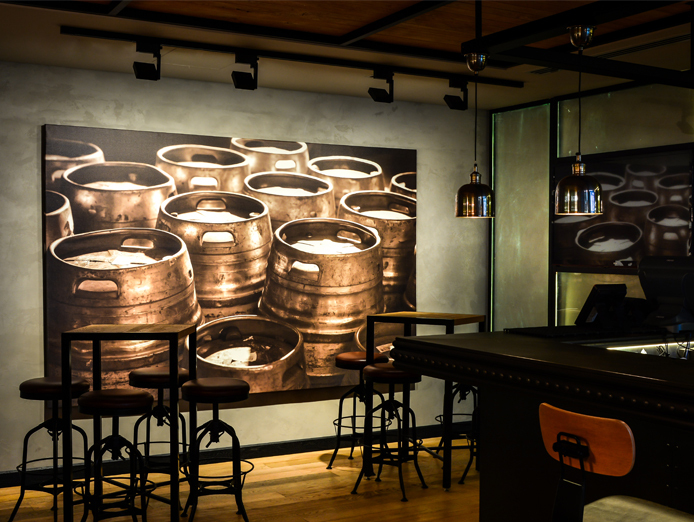 Lama has been living and working in the Dubai since 1998, and has exhibited extensively in the UAE.